This one storey block of five stores is home to Martin’s Clothing Store (33 Station Street), Gold & Silver Guy, Le Le Fashions (47 Station Street) and Outlooks (53 Station Street). 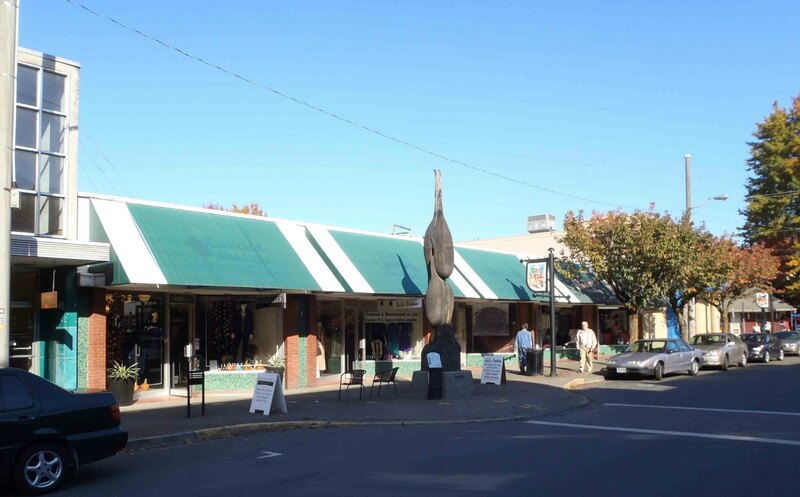 This block of five storefronts at 33 to 53 Station Street was built in 1959, at an estimated cost of $70,000, by Cowichan Estates Ltd., which stills owns the building. Cowichan Estates Ltd. is based in the Whittome Building at 64 Station Street. At the time it was built in 1959, this building was described by the Victoria Daily Colonist as “one of the most ambitious commercial projects to be undertaken in Duncan for some years.” The building contractor was Farmer Construction Ltd., which is still in business in Victoria. 1959 pre-construction drawing of the building at 33-53 Station Street. 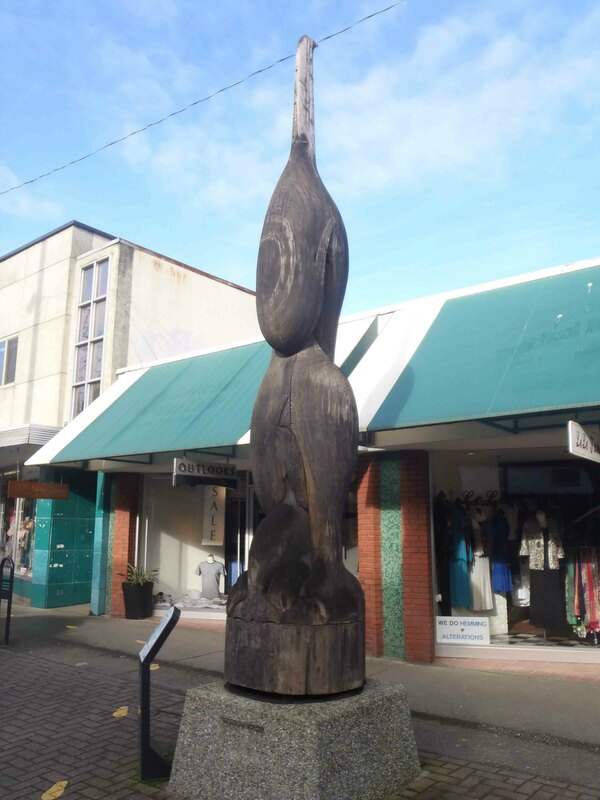 The Transition totem pole from the City of Duncan totem pole collection, is located on the sidewalk outside 33-53 Station Street. Transition is included on our Suggested Walking Tour of Downtown Duncan Totem Poles.